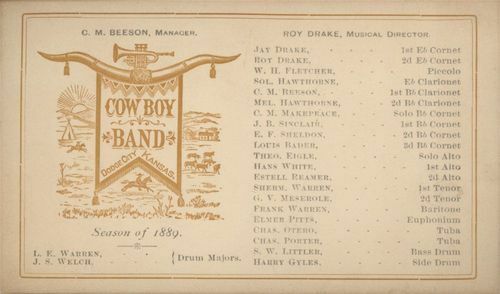 Cowboy Band Roster Season of 1889, Dodge City, Kansas. Call Number: K 788 Pam. v.